Sony are making a nice gesture towards easing the pain of the Christmas bill bite. They are offering customers VAT back on most Sony gadgets bought between 28 October and 24 December. Another good reason to spend before Christmas is that VAT in the UK will hike up to 20% in the first month of 2011, pushing up the cost of things like consumer gadgets. 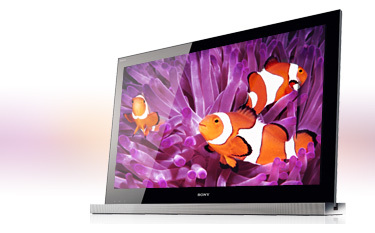 For consumers to benefit from the offer the full price of the item is payable in-store then shoppers have until 31 January 2011 to claim the VAT cash back from Sony on purchases made between 28 October and 24 December. The scheme includes all 3D televisions and Blu-ray products, full high-definition AVC Handycams and selected digital cameras, Readers, VAIO netbooks and iPod docks. Good post. I learn one thing more challenging on different blogs every day. It is going to at all times be stimulating to read content material from other writers and follow just a little one thing from their store. I’d favor to use some with the content material on my blog if you don’t mind. I’ll give you a link on your blog. Thanks for sharing. It is perfect time to make some plans for the future and it is time to be happy. I’ve read this post and if I could I wish to suggest you some interesting things or tips. Maybe you can write next articles referring to this article. I desire to read even more things about it!